Do you have sticky notes on your desk, fridge, in your car? I know I even have them on my bedside table! Maybe you just tell yourself you will remember it? When we have notes scattered all around we tend to feel scattered ourselves. Even worse, not writing it down at all. Studies show that writing things down increases not only efficiency, but leads to clearer thinking in general. Lifestyle Organizers are here to not only let you feel more productive but to free up time to spend with family, friends, or even just yourself. What makes a lifestyle organizer different? YOU design your planner for YOUR life. When you have the freedom to add what you need to your planner you are more likely to not only use it, but enjoy it. Also, our lives sometimes take a quick turn from either your career, children, or anything from a list of twist and turns life hands us. For this, you just switch out on of your lifestyle inserts and your planner is instantly what you need it to be again. 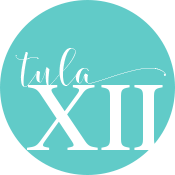 With TulaXii, you can shop by lifestyle and see what inserts we recommend for you. Of course, this is just an idea and can be modified by shopping our inserts by type as well. We have built our line of inserts off of years of researching what individuals need. This is also ever changing so we continue to add to our line of lifestyle inserts while letting you still shop by category or type to leave you not feeling overwhelmed as you build your lifestyle organizer. While browsing you choose your inserts which are individual books and then choose your cover. The books simply slide under each elastic within your cover making all your inserts easy to carry around as they are all in one place. When you need to switch out an insert you just slide it out of the elastic then slide a new one in. Once you select your inserts the hard part is over. Now we select a cover. Each season we offer a new line of covers so you can change your cover to match your purse, outfit, or mood. The insides stay fun with printed covers to add pops of color inside as well. Personally, I like to mix and match the inside so when I change covers it really doesn’t matter if they are the same. It’s not just a planner… it is a lifestyle organizer! Keep your plans, notes, to-do’s, shopping lists, and so much more right at your fingertips.